Rovio's decision to go with GetJar and a free model for its eagerly anticipated move to Android has been a big success – with the independent app store shifting two million downloads of the app inside its first days of availability. Angry Birds has proven to be one of the biggest success stories in the app world, with the game becoming a huge hit on iPhone, and generating big headlines. A recent public spat with Microsoft did the company no harm in PR terms, and the long awaited transition to the Android platform has gone smoothly. Rovio plumped for the GetJar route, and the response has been magnificent, with the 1 million downloads mark surpassed in a matter of hours. "1M+ downloads first day," tweeted Rovio Mobile. "Been a great day for us," the company added later. Early on Monday morning, the developer announced the two million mark: "Another day, another million. Passed 2 million downloads on Android." 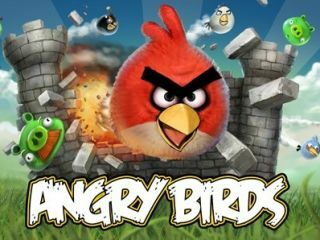 Rovio has picked up an admirable fan base, largely with its continued addition of new levels for Angry Birds for no extra fee on the Apple iOS 4 platform – something that has extended the longevity, and therefore the buzz, around the game.